This late Victorian oversized armchair in the Chippendale manner is available from Wick Antiques for £4250. Wick Antiques features this late Victorian oversized armchair in the Chippendale manner in the recent stock section of its website. 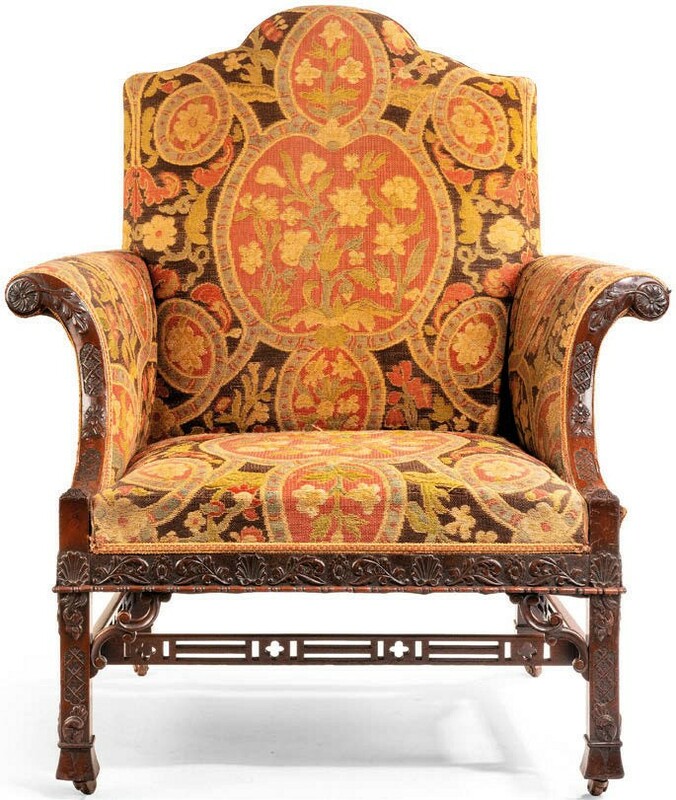 Made in England c.1890, the chair has scrolling mahogany arms and a seat rail and legs carved with scrolling anthemion heads. Offered for £4250, it features double C-scroll spandrels and pierced stretchers and has its original needlework and castors. The dealership was established by Charles Wallrock in 1981 and specialises in 18th and 19th century luxury furniture, works of art and objects of interest.